My favorite thing about my Google home was always my custom routines, and now I can't access them at all. Please fix this!!! And within those 5 months I’ve had to reset or do some more bs with this thing then you could imagine. I am very technologically efficient and know what I’m doing. This google home mini is just awful and so is the app. Cannot see device status. Is a light or switch on or off? We don’t know. Every other home control app or service has this function. This would be the best app by a mile of it showed the status from the main view. Until then it’s unusable. 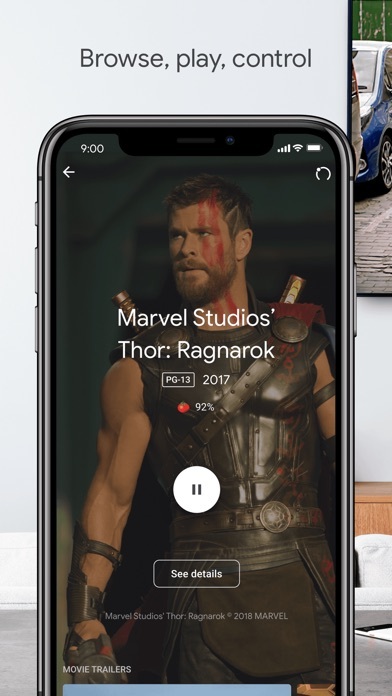 Only use this application with my Chromecast, don’t have any other devices yet. But works ok.
Love the new update but with the lack of ability to delete the ready-made routines or to add a customizable routine to the ready-made routines are impossible. And still, Nest and Google home is still not at par. Here’s a routine that should be simple enough. This is doable with Stringify and IFTTT but not from Google Home’s routine. Here’s a nightly routine that I want Google Home to learn. 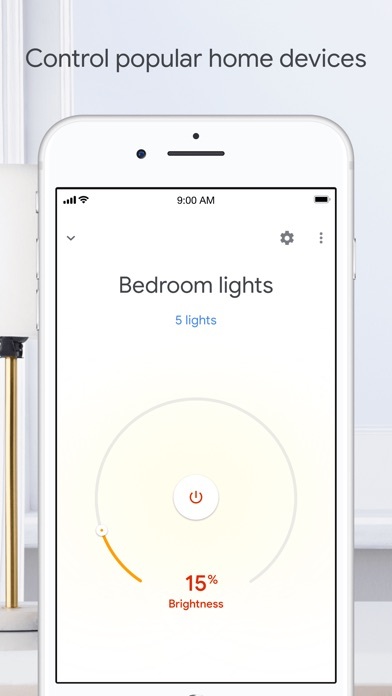 Detect the user phone closing in within a mile to home, have Nest Hello to recognize and verify the presence of a human (especially the owner), automatically turn on the hue lights on top of the entrance door. Then owner unlock the Nest x Yale lock, once the door starting to open, the Nest Secure should detect that the door has been opened by the owner and should automatically turn off the Nest Secure alarm. Google Home should then have the ability to add a routine of welcoming the owner by saying “welcome back” or “welcome home.” And turn the lights or whatever devices that works with it. 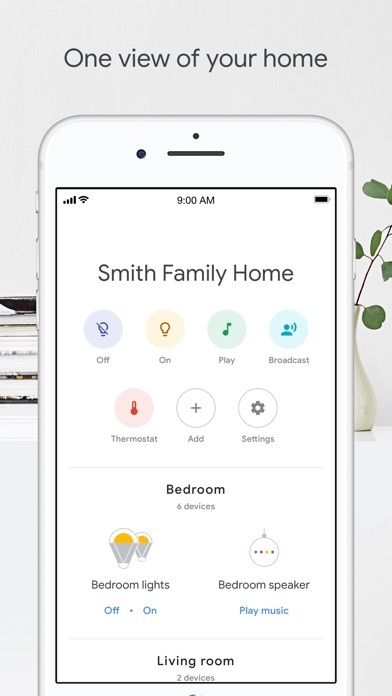 I mean, if the device and app is smart enough, the owner shouldn’t have to say, “hey google, I’m home.” Instead, if the devices were smart enough, or if this Google Home app is able to allow user to program it that way it should have the capability to be programmed the way the users like it to do. 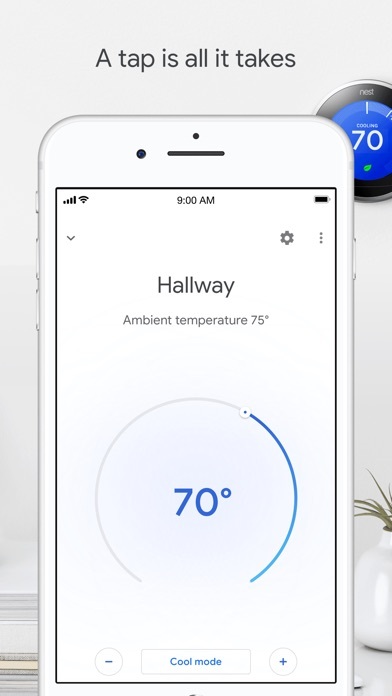 Instead, I am using Stringify or IFTTT, to detect my presence in coming home, have Stringify to use Nest Hello to detect a presence of human being at the door to turn on the hue light. After getting in the door, the owner have to turn off Nest Secure, and finally say, “hey Google, I’m home.” Google home should have known that the owner was already on the way home. The owner even used Google maps for goodness sake. Anyway, to say that this app is helping to make a smart home smart is an understatement. Google, get your acts together and make all your devices and apps connected harmoniously. And let’s make it smarter.